Since its foundation in 1966 knitter-switch has remained at the forefront of switch technology. 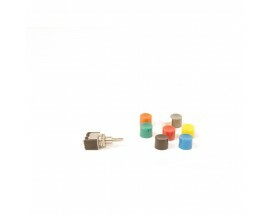 Highly specialized we today offer an unrivalled range of switching solutions:toggle switches, pushbutton switches, tact switches, slide switches, dual-in-line switches, rotary coded switches, rotary switches, encoders and snap action switches. Membranes, rubber keymats and steel keyboards complement our product range and we continue to design new switching solutions, employing the latest technologies and materials. Our main focus is Service and Quality. With over 7.5 million switches in stock we can offer very short lead times and for individual custom made solutions our qualified team will support your design process locally. Strategic alliances with a number of leading distributors complete our worldwide distribution network to make sure that you have a local contact person. For documentation and validation of our high quality standards our quality control in Hong Kong is certified ISO 9001.